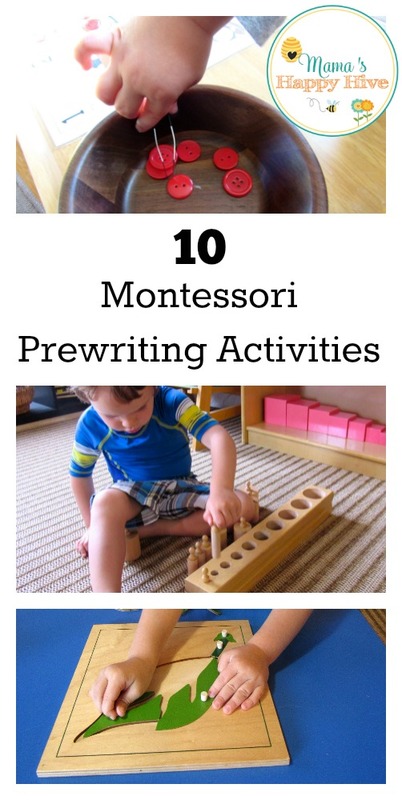 In this post, I will share with you 10 Montessori prewriting activities that will help to develop hand-eye coordination and pincer hand muscles for future writing work. These activities will intrigue your young child (3 - 6 years) during their sensitive period for small objects and language development. I appreciate the beauty of the Montessori approach for learning how to read and write. For writing, the emphasis is placed on helping the child's hand develop fine motor movements and this promotes the development of the brain. You can read more about this concept in the book, Montessori from the Start, in Chapter Four - “The Hand and the Brain." At 2.5 years old, Little Bee's favorite activity was using small tweezers to transfer objects like buttons and beads. These fine motor activities helped to develop his pincer grip and concentration as he very carefully manipulated a button with his tweezers. In the photos below, you can see him picking up a button from a bowl and then transferring it to a snowman printable. This activity took great focus and concentration while using hand-eye coordination. The photos below were part of our bee unit study. 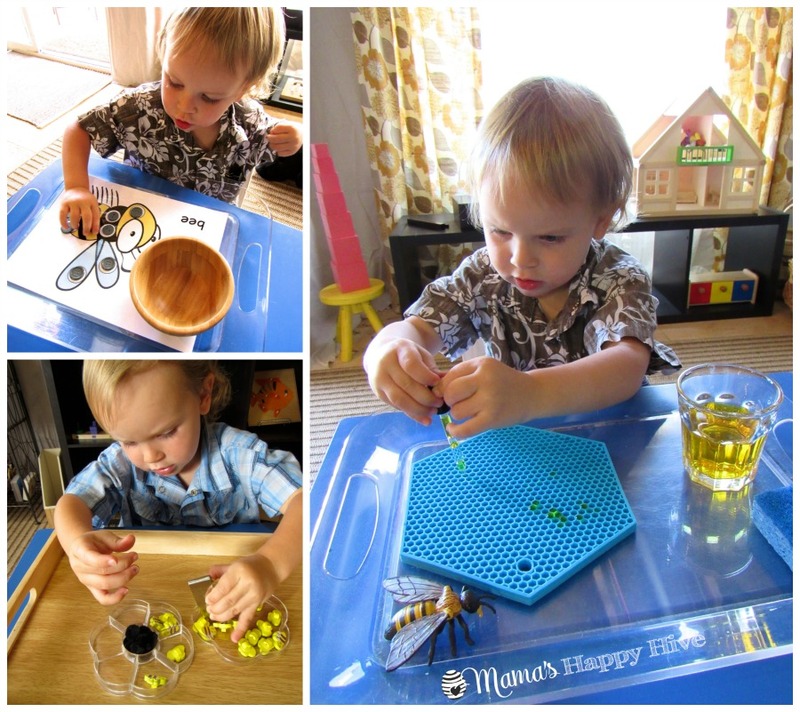 Little Bee transferred buttons with his fingers to a bumble bee do-a-dot printable, picked up bee buttons with tweezers, and squeezed up "yellow" water (nectar) into a dropper to transfer to a beehive mat (cooking hot pad). The Montessori knobbed puzzles also provide an opportunity to define and develop the fine motor movements of the hand, arm, and body. 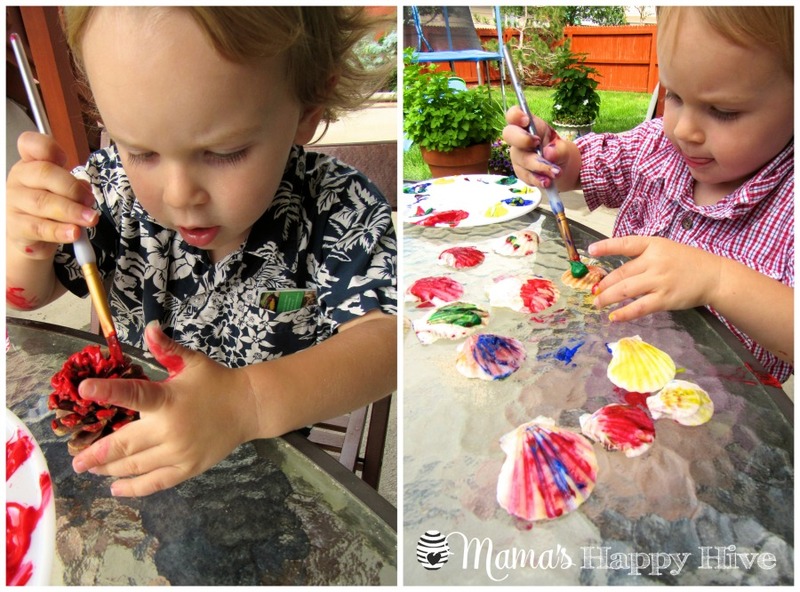 In these photos below, you can see how much concentration Little Bee is exerting while he paints a pinecone and pretty seashells. As much as possible, it's important to encourage your child to use the appropriate hold on the paintbrush to prepare for using a writing instrument. Little Bee finds this challenging, but we are still working on it. 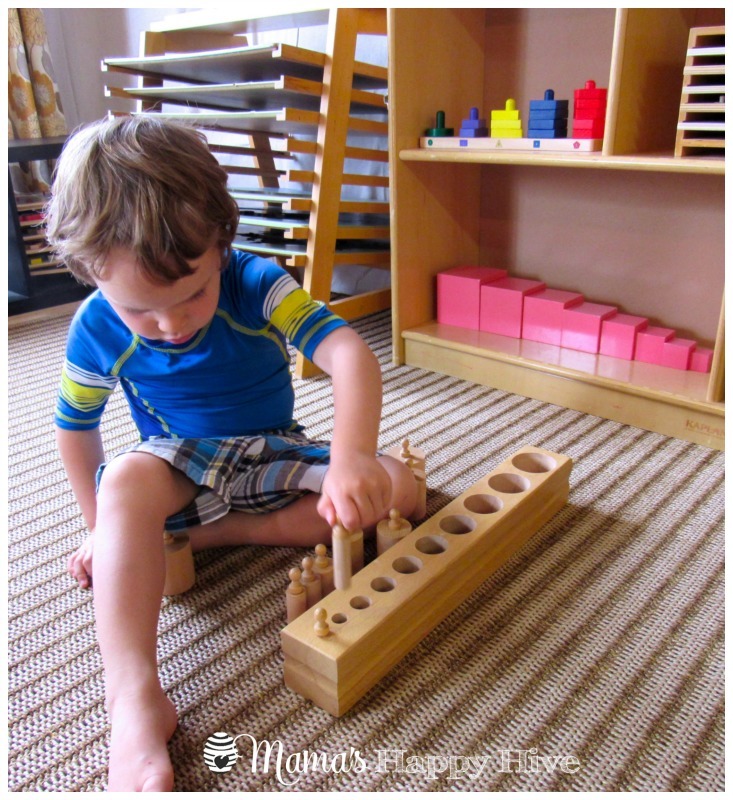 The Montessori knobbed cylinders are also a fabulous exercise for developing the prewriting muscles of the hand. The knobbed cylinders teach hand-eye coordination and also visual discrimination for various sizes. Please visit, Carrots are Orange blog for an explanation on how to present the knobbed cylinders to a child. I set up a pin-poking station for Little Bee using cork boards and push pins. 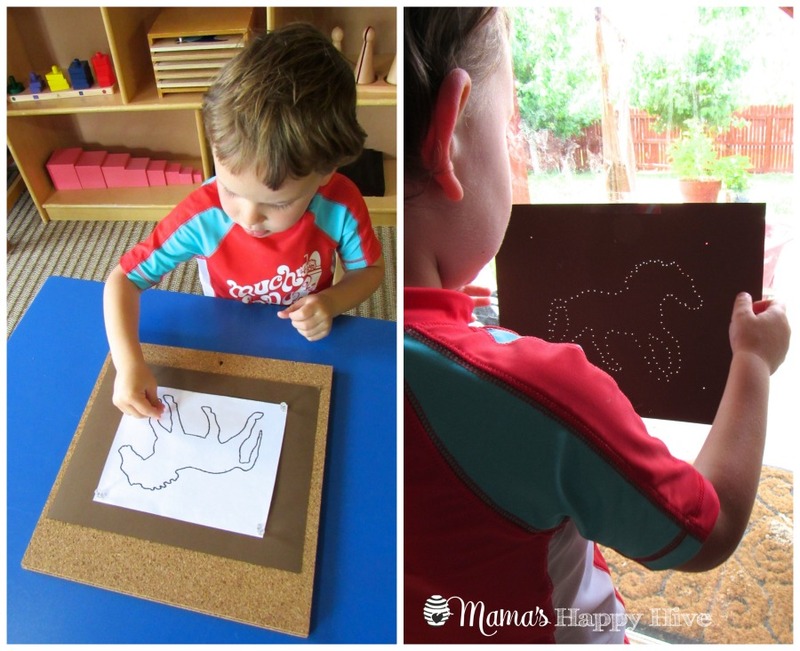 I printed and enlarged this horse printable for pin-poking from the Montessori Print Shop. Little Bee poked the holes along the outline of the horse. He did tire while using the push pin for poking holes, so I helped him pin-poke and complete the work. 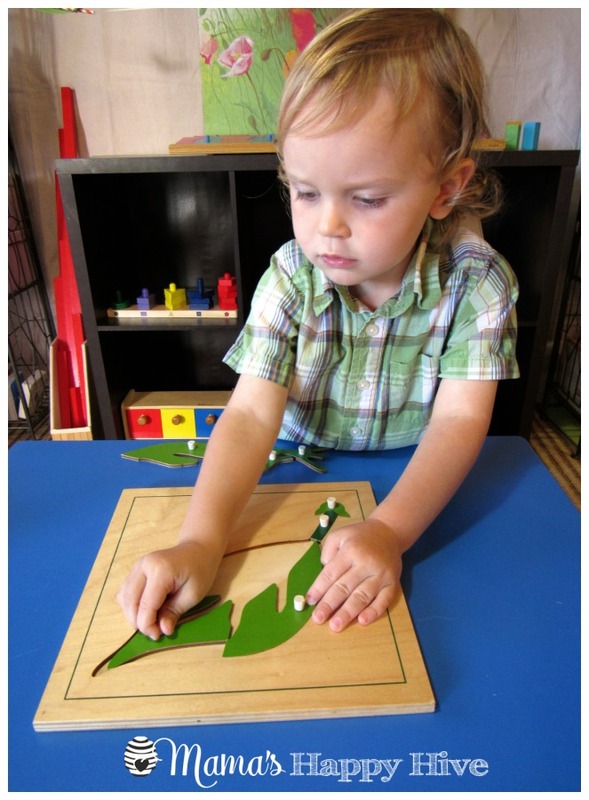 I think it would be easier for him to use a pin-poking tool like this one from Montessori Services. Afterwards, it was fun to tape our finished design on the sliding glass window and admire the sun shining through all the tiny holes. Little Bee has entered a “sensitive period” for buttoning his shirts and folding his clothes. I believe that he gained this love for buttoning from his beginning work with the Montessori dressing frames. At 3 years old, Little Bee has mastered the button closure dressing frame. He is able to successfully complete the velcro, snaps, and zipper frames too. He has yet to understand the buckle, tying, and lacing frames. Here is a presentation for using the button dressing frame and here is video instructions for the lacing frame. Little Bee, at 3.5 years old, is beginning to show an interest in the sandpaper letters. The sandpaper letter provides a rough tactile experience for the child as they trace it with their two fingers. This creates a strong mental image in the brain as they learn that these symbols are connected to a sound. 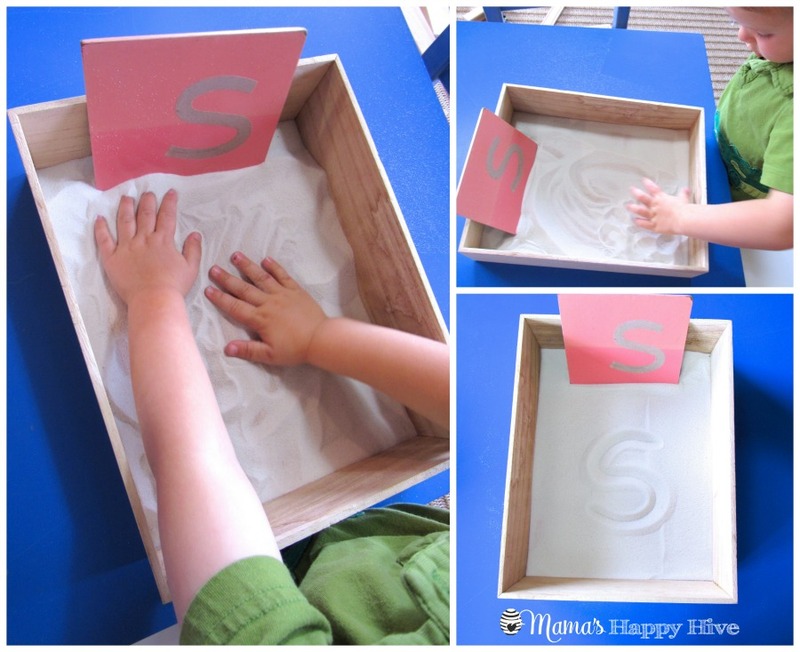 The sand tray is a fun sensorial experience for the child to practice forming shapes and lines with their fingers. Eventually, letters can be formed in the sand. Little Bee is not ready for the chalkboards and metal insets yet. Here is information for how to present these materials. Exercises for Learning "Left to Right"
It is very important for the child to learn that letters and words are formed from left to right. This concept is true for both writing and reading using the English language. Please visit the "Planting Peas" blog for an excellent explanation and examples for teaching left to right progression. Thanks for visiting! 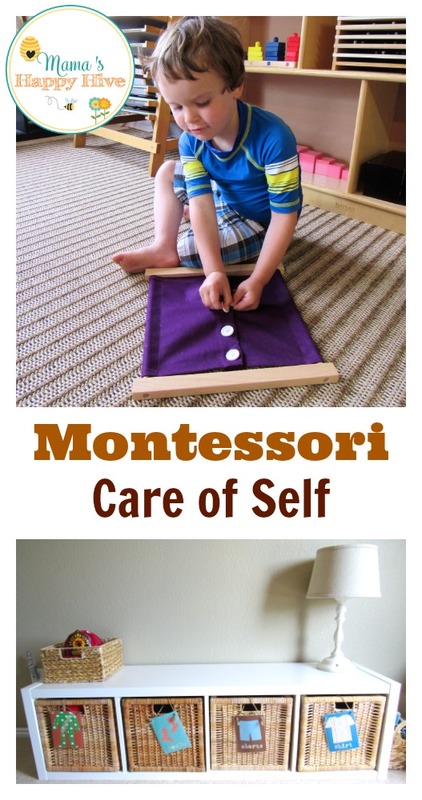 I hope this post gave you lots of fun hands-on learning ideas for Montessori prewriting activities. 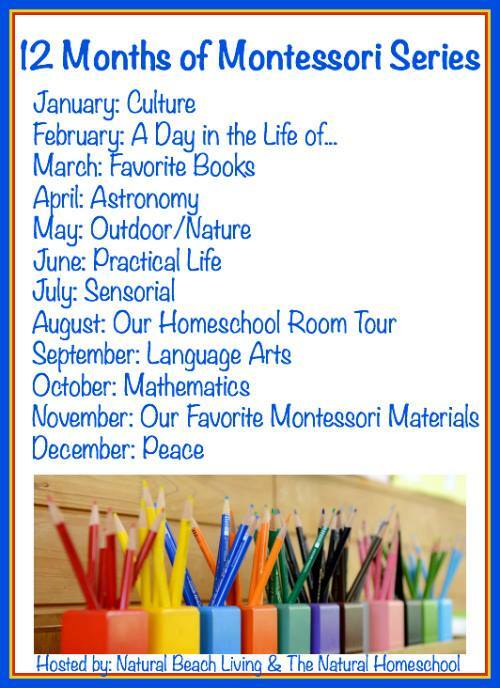 Check out all the Montessori blogs below for more information on the language arts! I love this list of awesome ideas! Thank you for sharing! So many great ideas to work on fine motor skills and prepare little hands for writing, My daughter loves transferring water with a dropper since she turned two and is recently interested in tweezers. I also want to try soon pin poking. What great points! I love that you shared so much on the importance of preparing the hand four writing. We did a lot of practical life and fine motor work when Y was younger and now he is so ready to write. It’s amazing how naturally learning seems to progress with a montessori approach! I can’t wait to go back and use traditional Montessori materials. Thanks for the inspiration!